It was so surreal to read the comments on yesterday's post. It's still so shocking. I have both friends and family who live in and near Boston and they are LOVE their city the same if not more than Philadelphians love Philly. 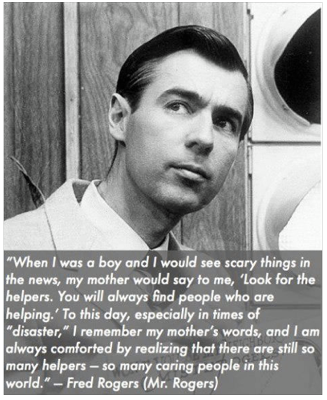 It's so hard to understand why such terrible things happen, especially to those most innocent. I recently have fought a hard-fought battle that ended with a newfound love of running. This took years and years and years to accomplish. Running was something I wanted to be good at and to accomplish. It scared me more than any other workout. For someone with severe asthma it was always a hate-hate relationship. After having children I decided to challenge myself more and gradually improved from walking to running for a couple of minutes at a time to running faster, further and longer - all happily. It is my go to workout and I recently became the proud owner of my own treadmill. It is a challenge that I love to face and leaves me feeling accomplished, confident and healthy. To see so many people who are much more talented at something I love go through this is just horrific. 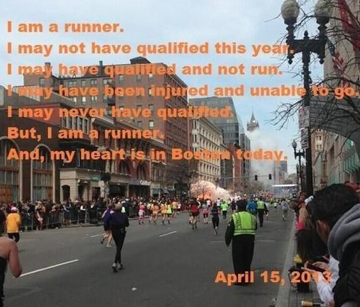 It makes me want to lace up and run for them all, and not for myself for a change. Today I will run for the human spirit and all that is right in the world and for the eternal hope that good will always conquer evil.